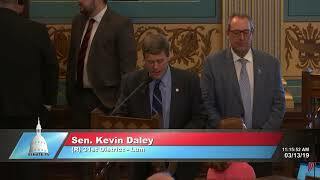 Senator Kevin Daley spoke to the Michigan Senate about his resolution to name April 2019 as National Donate Life Month during the March 21, 2019 session. 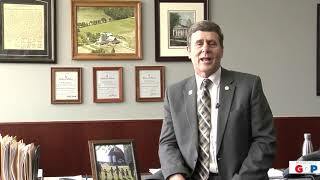 Senator Kevin Daley recognized the 2019 Ag Day at the Capitol at the Michigan Senate on March 13, 2019. 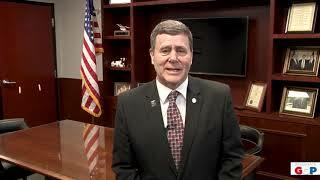 Senator Kevin Daley reflects on the importance of agriculture to Michigan's economy. 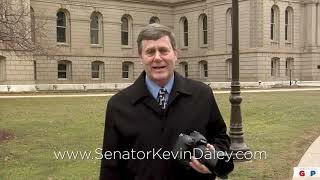 Senator Kevin Daley announces his 2019 photo contest. Sen. Daley's office is open and ready for business! 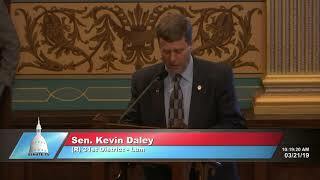 Senator Kevin Daley's office is open and ready for business at the Michigan Senate.